We've prepared a hands-on preview of the Leica M-Monochrom 18MP black-and-white rangefinder. The M-Monochrom has no color filter array in front of the sensor, meaning it captures more of the available light but cannot perceive color. It also means there is no need for demosaicing (the process of combining color information from adjacent pixels), so higher levels of detail are retained. Our preview includes real-world samples we shot with the M-Monochrom, to show just what that means in-use. So what if Leica charges a lot for technology that many mainstream consumers consider to be obsolete? Ferraris and Lamborghinis still use manual control and charge a fortune more than the Toyota hybrid with automatic shift. Vinyl records are considerably more expensive than a CD or an iTunes download. A train ticket can cost a lot more than a plane ticket. Some people like the feel of old technology, others depend on new technology. To everybody who are comparing cameras based on a specs... Go test drive a car and you may just find that the car with the biggest engine may have the worst handling. Yes, I am talking to those with no life and have commented on nearly everyone else's thread. A Leica is appreciated by people who use them, not by those who sit in front of a computer and criticise. Different strokes for different people. Get a life and stop whining / preaching. You may live a happier life.You're not going to convert anyone. Just saying. Take it or leave it. To a certain extent I agree. There is a problem with these exclusive gadgets, though. Same with esoteric audio gear, maybe with cars also. They are not advertised and reviewed honestly as what they are, expensive oddities and collectors items, but as something technically truly special which they either are not or are at an extremely narrow field only. With this Leica the fact remains that new DSLR cameras with high pixel count can also produce amazing B&W detail, while retaining the ability to manipulate the color mapping into B&W. There is only talk, no proof, that M9m has more DR or sharpness than D800 for example, at 40% of the price. Certainly Leica has that Leica feel and nostalgia, and that is what people pay for, not that it produces something other cameras can not produce much much cheaper. Advertising can not mention that, but reviewers should be able to make honest appraisals and treat even a Leica as a camera, not an object of religious veneration. Apologies for the multiple posts of the same thing - for some reason I was having problems with my connection do the DPR site. Actually Lamborghini and Ferrari are dropping the manual transmission. It's a crying shame. Nothing like listening to the metal gear shifter go through the gates. Leica lenses are great and their cameras timeless. The photos look fabulous. Some may want to whine about this... but it is the truth. Again... the photos look GREAT! You have actually seen a "great" photo, at least once, somewhere in the world, haven't you? So far, everything I've seen from M9m doesn't get beyond "average". aside from a Leica being a great quality camera what is the point of a B&W sensor? Would I not be off eqaully well by taking color RAW shots and then use great tools like Silver Efex able to do everything I would ever want on the B&W front? The more important issue is control. Doing a B&W conversion of a color image gives you two filter curves, the break between red and green and the break between green and blue. They're pretty shallow curves. With a monochrome sensor, you can use whatever filter you want, there are 2 common steep red breaks (R29 and R25), orange, 2 yellow, 2 green, 2 blue, violet. So, there's more of that lovely "metallic" sheen in a portrait taken with a Wratten 47 blue-violet filter than you can ever get in a conversion from color. Deeper, darker skies, and more pop to vegetation and clouds when you shoot with the R29 than you get with color conversion. There's two other issues that would have mattered, had Leica released this camera two years ago, but are pretty much eclipsed by the technology gap (chasm, more like) between Leica's sensor supplier Truesense (formerly Kodak) and, well, everybody else (Aptina, Canon, Nikon, Panasonic, Sony, etc). The resolution issue. You can expect an 18mp monochrome sensor to pretty much match a 36mp color sensor. This would have been quite a selling point, had they released it when the only color sensors that high res were in clunky, awkward medium format backs, but is a lot less relevant in the shadow of the D800. There's also the issue of sensitivity. The monochrome sensors are a stop or two faster than color ones. Again, not much of an advantage when you're chained to obsolete sensor tech. There is, however, about a 2 stop dynamic range advantage to the color sensor conversions. I've explained why this is, in other threads. Further, representing a scene in tones from black to white gives far more control over the scene than in color. The photos on the new Leica look great. That says it all. The advantages are: Higher sensitivity, higher resolution, true panchromatic image, flexibility for special applications when use it with filters. The only problem i see with this is price. A B&W camera makes more sense in the enthusiast and professional segment. Would be nice if the mainstream manufaturers have B&W bodies. Also a P&S with a small B&W sensor would benefit greatly from this. @jmmgarza. why do you keep saying that? Most of the M9m samples, and all of the dpReview ones, show a horrible lack of understanding of B&W photography and of the limits of a B&W digital camera. I haven't seen many shots from it that even aspire to "average", let alone "great". I'm sure that's the fault of the people shooting it. I fail to see how the example shots "show the possibilities of the camera". Could you please explain that to me. "there's a difference between great and a good example"
That is true, but irrelevant, as the examples posted are not "great", "good", or even "fair". ...like I already said...the shots aren't great but they show the depth of tonal range that can be achieved (dynamic range) with detail in the shadows and in the whites. 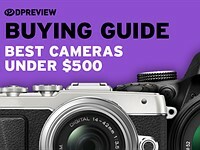 But I'm new to DPreview and only see one photo posted and i kept seeing a plural of examples being mentioned so maybe i'm missing the other photos. But either way the one photo I see, from what I can tell shows zones 1 to 10...and that is a great example to me. This way I can begin to imagine the tonal range and zones that I can achieve in my own photos. To avoid becoming irrelevant, a tool of art creation needs to be accessible to a sizeable number of the practitioners of that art. And irrelevant Leica remains with this camera by snatching it out of the good photographers’ hands and politely presenting it to the wealthy photographers. The wealthy photographers are very happy to pay too. They are instantly transformed into genius artists, Leica style. They love buying the kudos and walking out of the Leica boutiques. It is ‘like-a’……..joke to most photographers. agreed with Andy Crowe. I don't think people understand that Leica isn't mass produced. of course wealthy people buy Leica and that's part of what keeps Leica alive. it keeps them in business so they can develop and research new ideas/technologies. i can't exactly afford this either, but to know that it exists, and it was possible and that Leica took the step into doing it is good to know. and if it's something that i really wanted and could benefit from, i will save my money and buy it. I personally do not see Leica being a major force in the digital camera market in the future. The Leica management and product development teams are headed in the wrong direction in my opinion. Prices of cameras are going down and cameras are becoming smaller with increasing quality that will eventually surpass DSLR and like cameras currently in the market. Leica is charging ridiculous prices for a digital camera that will be obsolete in two years. People with money are not stupid ! I don't think Leica have ever been a major force in digital photography have they? Apart from a few re-branded Panasonics they've always stuck to their premium niche. People with money may not be stupid but a whole lot of very smart photographers either do not have this type of money to throw at Leica or they do not wish to. This whole Leica thing will eventually wear thin. It will become a yawn. Leica is expensive, but a digital camera that will be obsolete in two years? this isn't canon or nikon. I know professional photographers/photojournalists that still use the M8 which was released in 2006 I believe...6 years and counting. I'm sure an upgrade is in the future but this isn't a mass produced camera company. they take time and research into what they develop and do it with quality. ie the M9 is made in batches of 15. I will say it once again. The only really interesting point is if good photographers gets this unique camera and makes outstanding photographs. Thats it really. If this camera only is bought by rich people that cannot make images, then its no fun at all. The big drawback of this B&W camera, compared to film, is DR. Some B&W films had unbelieving DR. For color images, huge DR is hard to utilize as the images become strange if you do too much HDR work. But for B&W, there is nothing called too much. Its total freedom when doing manipulation. We'll continue shot film, both color and b/w with good film cameras with reasonable price. Roland, read my replies to Element 42, about five posts above this one. This camera is not "unique". Here's the three words that are the key: "given equal technology". Given equal technology, a monochrome camera will have twice the resolution of a color one, as well as about 2 stops more low light ability. The technology chasm between Leica's supplier and the D800 means that Nikon has a camera which can do a B&W conversion with resolution to match the Leica and better low light ability. A disadvantage in dynamic range. Most scenes yield about 2 stops more dynamic range in a monochrome converted color image than in one shot with a monochrome sensor. you are confusing ISO and dynamic range. the advantage in ISO is about 2 to 2+1/2 stops. Dynamic range should be significantly higher than that. However, it is frustrating that we haven't seen good demonstration of that. dpreview had the camera but, I suppose because it's preproduction, did nothing to assess it. I'm not sure who's confused about what. "Dynamic range should be significantly higher than that." Dynamic range on a monochrome sensor is significantly lower than on a color filter array sensor. I have shot six different monochrome cameras (Kodak DCS-630m, Nikon D100 converted to monochrome, Nikon D90 converted to monochrome, Megavision (I forget the model, 36x48mm sensor), and two industrial cameras with Kodak and Fill Factory sensors). In all cases, dynamic range is less than you're used to with color cameras from the same eras. The Leica M9 Monochrom is a minimalistic approach and a piece of art for itself. I could only imagine a heightening in leaving off any sort of LCD. Only takes two inches of gaffer's tape to cover an LCD. Permacell makes a the best gaffer's tape. It's interesting to me that we now consider any camera with fewer features to be "crippled and downgraded." We all seem to be in search of that ONE magic camera that does everything with 30+mp and incredibly sharp lenses, infinite battery life, stellar signal to noise ratio at ISO 50K, plus everything else you ever dreamed of having in a camera... and we want it to fit in a pocket and cost under $3k. This simply doesn't exist. As such, cameras must be made to focus on doing some of these things, or even one of these things, really well. To say that a camera that is designed to do something entirely different is "crippled and downgraded" because it lacks some of the features of another less expensive camera is missing the point. This is a camera designed for a very specific purpose. Regarding the price... Products are worth whatever people are willing to pay for them. If you're not willing to pay $8,000 for a specialty camera, then it's simply not worth that to you. It's really that simple. If I want one but can't afford it, that's life. We can't have everything we want and it's childish to whine about not getting what we want for a price that allows us to buy other expensive toys along side this one. Does Leica have a HUGE profit margin built into these prices? I seriously doubt it... but so what if they do? It's their product and they can charge what they want for it. If they don't sell any at this price, they'll lower the price or stop making it. It just seems ridiculous to be angry at Leica for making a product I can't afford. Most people can't afford Lamborginis or Rolls Royces, but we don't see a bunch of angry comments about it, do we? Oh yeah, good reasoning. 1D-X and D4 are more than both D800 and mk3 put together. And some of the numbers on the spec sheet are smaller. The unfairness of it and the nerve of those guys :). I'd say this camera really is "crippled and downgraded". While it is true that "This is a camera designed for a very specific purpose", it largely fails at that purpose. An 18mp monochrome sensor has resolution pretty much equal to a 36mp color sensor. Well, the competition has been shipping a 36mp color sensor camera for three months. A monochrome sensor has about 2 stops more sensitivity than a color sensor. But Leica's supplier is so outdated that the competing color sensors have gained a solid 4 stop advantage. Until Leica gets hold of a sensor that isn't "crippled and downgraded" by industry standards, that's all they're going to deliver. Yes, it can do things with color filters you can't do on a color camera through post processing, yet, but is that enough to offset the lack of dynamic range that goes along with monochrome digital, if you can't get the resolution and low light advantages you'd expect on a monochrome camera? Look, you could say that it doesn't deliver the same quality as an S2 or 645D either. They are just about as big as D800 with appropriate lenses. But it's a whole different size range cameras. With this you can have D800+top-tier lens and probably approaching the 645D/S2 category results in a package that practically fits in your coat pocket. The tradeoffs (cost included) certainly won't be worth it to most people, but you gotta admit, the results from it and the new 50 cron (super expensive too, I know) are amazing for the system size. I have recently commented about this resolution case and have been confirmed by the Leica guys. It's not equivalent of 36MP but rather around 28MP. @maxnoy, no, you look. The S2 and 645D are medium format cameras, and have arguably the best medium format sensors available. The M9 is a full frame camera, and it has a sensor that is markedly inferior to those of pretty much any other full frame camera, from D800 down. It could still be a "top-tier lens", "package that practically fits in your coat pocket" camera if it had a better sensor. So, in its own niche, it is crippled by the lack of a sensor as good as competing cameras use. @BobYIL, thanks. That puts the M9m in the same boat as a lot of 24mp APS cameras, including some even more pocketable than M9. Joe, M9 sensor is basically a cropped version of the s2/645d sensor that you respect so much. A bit larger pixels, but same otherwise. It's basically aps-c for mf in image feel and specifics. Especially with the quality of their lenses. No complaints about image quality from it. At its best, it's at least competitive with any ff dslr sensor up to 24mp. And far more compact. interesting issue re the sharpness of the images, reminds me of Sigma files, if you resize one of the DPr sample jpegs for large output, say 30" on the long side at 300ppi you get jagged lines in curved/diagonal details, particularly evident with the image of a girl with sunglasses (with the glasses themselves) perhaps not an issue with the raw files or visible in print, will have to wait and see. I'm agnostic on this device although I share a common scepticism about Leica as a value proposition. However I'd be interested to hear an explanation why it might be better to use this camera than to shoot colour with a similarly (or better) specified conventional colour digital camera and then to convert to B&W - given the additional variables that this process affords. Unless there are measurable or at least visibly demonstrable benefits to using the monochrom(e) sensor - in this body - it's nothing more than a status symbol. I take it you've read the article? In theory, given the same sensor technology, you can get ~2 stops more light to the sensor without the color filter array (B&W) and also ~1.5 times more resolution with the same pixel count. Again, this is comparing color apples to b&w apples. 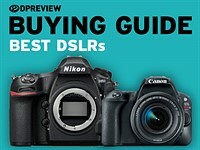 If you want to compare to the D800e, then the benefits become less. But if Nikon made a D800 version with the same b&w technicque as the Leica, it will be a match for the D800. 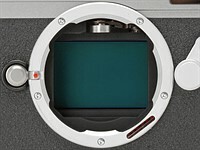 The Leica will have trouble with high MP FF sensors from other makers but the one to compare to would be the M9 color. 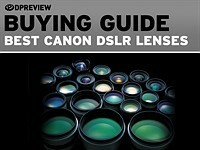 There are a lot of people who are interested in the technique more than the actual $8k camera. These same people, myself included, want other camera makers to make b&w cameras using the same b&w technique as the Leica but at a much lower price. Look at the D3s/D700 industry leading low light performance.With no color filter array, you'd get 2 more stops better low light on top of whats already the best. I don't doubt that there's a theoretical advantage. Does this become apparent when the final result is output? Like on a screen, or printed? I have no idea. However there is, I believe, a penalty clause in the sense that a B&W conversion from colour offers additional variables. As for resolution, see output above. I'm afraid I see this product as an example of the differentiation that happens at the top end of the luxury goods market in general. No doubt it's possible to get nice results out of it but uniquely so? I doubt it. I think all these comments are useless until we hear from folks out there who have actually used the camera. Many years ago I bought a Hasselblad to take better color photos. What I found out was that my Black and Whites turned out better than I had ever done before, so it became my b&w camera. Now, sadly, I do not use it having switched over to digital. 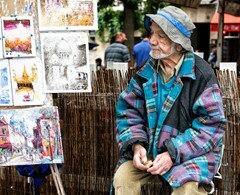 I would like to try the M9-M and compare the results with some of the old Hasselblad photos. Only then will I be able to decide whether it is worth the price. Actually, price is not all that important if the results are worth it. I remember at the last exhibit I had the number of people who showed up with Leicas hanging from their necks with B&W film in them. Now this was in March at night and without a flash so I am not sure what exactly they were going to photograph. It is these same people who will buy this camera. Don't try to make sense of it because it never will. Their thinking does not operate on 1+1=2 so do not try to apply logic to it you will just get frustrated. No matter how powerful your argument Leicas will always be better just because. Yes I have owned Leicas. Hmm, a black and white only camera costing 8,000 usd. This isn't about "authenticity" its about photography snobbery, and parting those with more cash than brains from their money. For everyone else you'll find a black and white option in your camera's menu. I look forward to Leica launching a gold plated diamond studded Leica, only for the Russian, Chinese and Middle Eastern markets. Doubtless that too will be luanched in the name of "authenticity", as in "authentically rich". People have been asking for a B&W only digital camera on the forums for years, Leica has delivered, I don't see what the big problem is here? What is the point of this camera. It is nice as experimental equipment in a minute niche market, but from my perspective I see very little practical value. Seems like Leica is losing it!! Photographer have better control of a scene in tones when visualised in black and white. So, this camera(sensor in particular) makes a lot of sense for me. This may be an alternative for b+w film shooters. @thanda, it makes no sense, at all, for you. The Leica doesn't let you "visualize" in B&W. The viewfinder is still color, and "unphotographic" in that it doesn't show DOF and distracts you from framing accurately. (there are "pluses" to offset this, however). If you want to visualize in B&W, get a NEX7 or an EM5. Seriously. Eyelevel monochrome electronic viewfinders are amazing. i shoot black and white film and when i look through my viewfinder, i visualize it in black and white and i see everything in black and white actually, i know how the tones will convert in my head. it's just a natural thing that comes with shooting and printing black and white for a long time. i would definitely agree that this camera is meant for a specific crowd, some people find it stupid and a waste, and it probably is for them. I would even think this version makes more sense than the M9. Think that the M9 is way behind to modern cameras even a few years ago. It is slower, bad ISO performance, bad JPEGs, and expensive compared to competition. With this version, Leica has produced a camera that is truly a niche producing very good IQ which is one of Leica's attributes and there's no competition. There's no other way to make most of the optics than they did here. Poor BW images, to me, is better than color images that are poor( incorrect WB, bad colors, poor DR). 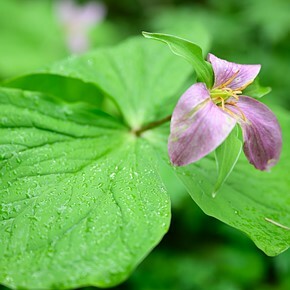 Get a Canikon for color imagery. I think the reason this is priced higher is probably due to an upcoming M10 so they can price it even higher. M9 is very capable. Look at some pictures sometime. well the "bad iso" is as bad as any bad reasons given. with the m9 i rarely need iso above 1000. maybe that is because it only shoot primes and you can have very big aperture primes easily with the m9. And the Pentax fits in a jacket pocket just like the Leica. And has rangefinder focusing just like the Leica. A fair comparison! A niche camera of mind numbing proportions. Obviously, aimed at a consumer base with much, much.... MUCH more money than me (and I ain't broke) and with fierce brand loyalty of the highest order. 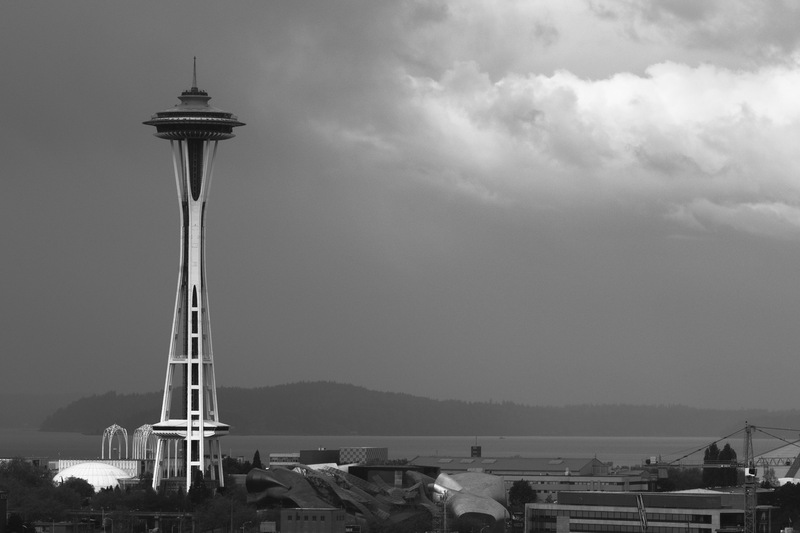 Problem with shooting in b&w is that you can no longer correct for lens chromatic aberrations in post processing. Instead of being able to re-align image planes for each colour separately - you'll just get additional blur at the periphery. Oh well. Well it won't nearly be as noticeable or distracting. Andrew, given only two colors for CA correction, correcting CA in post on color images is incomplete. There are secondary fringes introduced (usually orange and teal, very strange looking). You get much better correction on a monochrome image if you shoot with color filters. Oh well. There's also the issue of longitudinal CA (LOCA, as some call it) which cannot be easily post processed, but which is totally fixed with color filters on a monochrome image. Even if you don't use color filters on a monochrome image, LOCA isn't distracting because it only affects out of focus areas. You can't replicate the sharpness gain from not having to debayer and lack of an OLF nor the light gain from the lack of a CFA. You were not looking at the sample images at 100%. Now, to get the best possible photos from this, one can just take three photos, one each with a green, red and blue filter and combine into a colour photo which can then be turned into a black and white photo again with a proper channel mix. A bit of a hassle, I know, but it would make for killer landscape photos. If I'd have been a recent lottery winner, perhaps I would have bought one of these - just for fun. The sample photos remind me of some of mine from the days when I used to own a Leica M6 with the old 50mm Summicron: A bit bland, but with plenty of potential. I'd underexpose and push in post for a slightly more contrasty look without burnt-out highlights. Just taking your idea further, could Lieca or Panasonic make a colour version of this by using 3 high-grade colour filters that cover the sensor for 1/3rd the exposure? Sounds cumbersome, but we've had glass (mirrors) moving in and out of position in front of the sensor for ages now. So, the mechanics cannot be too hard. Could use the colour filters on a wheel/ angular motion, with each of the three raw images saved. Plus, a jpeg of the three raw images combined in camera. Full detail colour landscapes and still life! and a choice of going monochrome when you want to. "A bit of a hassle, I know, but it would make for killer landscape photos." You're talking about matching the resolution of a D800. Might as well just use a D800. Time was, I used Leicas, all the time. I had a 50mm f1.4 on an M3 and a 35mm f1.4 on an M2. They did not cost what now they do: the 35mm f1.4 was a fortune in those days-mid 70s. But it was still only £350 brand new. A 28mm f2.0 Nikkor cost less new. The bodies cost around £200 each in very good secondhand condition. They did not cost £6200 odd. And they used reels of Tri-X or HP4 or HP5 or COLOUR. These are the first and only monochrome Leicas. And they should be grey. The quality from the jpegs on show here has good detail-very- but they are flat and dead. They lack Chutspa, impact, and/or Pazzazz, man. And as they are simpler machines than are M9s they should be cheaper, and not black, or silver, but grey. I do not believe they will generate images that will one day have value. To do that an artifact has to be of it's time. I feel the same way. The pop and contrast just isn't there. This looks flat. The resolution looks good, but I get the feeling a converted m9 shot wouldn't look all that different. Probably better with some tweaking and adjusting of color. If it looked more film like I would be impressed. This camera makes no sense to me. The tonalities of the images just aren't appealing. "They did not cost what now they do: the 35mm f1.4 was a fortune in those days-mid 70s. But it was still only £350 brand new." When comparing with prices from almost 40 years ago it is useful to consider inflation. According to: http://www.bankofengland.co.uk/education/Pages/inflation/calculator/flash/default.aspx £350 in 1975 becomes £2408.97 in 2011. A quick check on Google gives 4000 dollars as the price today, which Google says is £2 487.56219. Considering that exchange rates affect this figure the difference is completely within the margin for error. The price is remarkably close to what it was. Basically, don't blame Leica for inflation. Hmmm well apparently Leica wasn't originally at the top of the table when it came to premium expensive gear. Their cameras were good quality but essentially made popular by pros like Cartier Bresson, triggering a wave of demand for their well made but affordable products. Now pros will find it difficult to justify the ridiculous price tag which is not, IMHO, directly commensurate with what Leica cameras can offer. There just isn't the competition in this segment of the market. Does EVERYTHING need to be: FOR SALE?! Even if you have the (financial, engineering etc.) potential to create something truly valuable? What is happening to our once beloved World?! There are people suffering OUT THERE! Does the word ARROGANCE ring a bell? If you drink, don't post. If you post, don't drink. Remember, electricity and alcohol don't mix. Actually, Leica makes a bigger profit on their accessories, and there is a little profit margin for their cameras, if they were going to make a large profit the camera would have to be even more expensive. I'm sure it seems arrogant but you're looking at it one sided. Leica doesn't outsource their camera manufacturing to undeveloped countries which almost every large company I know does. They keep their factory in Germany, which has the highest paid labor, and they produce a quality product. They employ individuals from the engineering to the manufacturing. This may not have a direct impact, but Leica often gives out loaner cameras to photojournalists that travel that want to document the suffering and the unknowns of the world which enlightens all of us on this tragic existence. I think there are people/companies who have a larger impact on the people suffering in the world, and I'm sure you're a part of it, whether you know it or not. The sample images look more Kodak Technical Pan than Tri-X to me - great potential for excellent results, but extra care in exposure required. I would have committed unspeakable acts for Tech Pan at ISO 10000 though, back in the day! In my view this is the wrong way to approach B&W. The right way is to start with a color picture and convert it to B&W. It's so much more flexible that way, and therefore increase the artistic potential of the image. With a color image one can convert to LAB and extracts the vision-wise sensible luminance channel. But one can do much more than that. Often a subject, say red, will stand out in color against the back ground, say greenery. But they may have similar luminance and therefore the subject will not stand out in B&W. 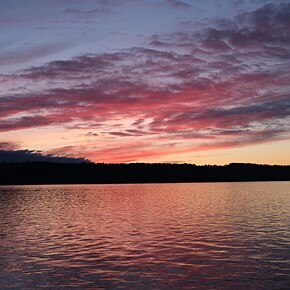 This is clearly visible in many of the posted examples: they lack "separation" between various parts of the image (example sky against sea for the image of the Seattle needdle - fine image though in this case). It's easy to go around this issue when starting with a color image by mixing channels. The artistic possibilities are way beyond what a B&W camera can offer. Or use filters with the B&W camera (no more noise benefit). IMO sorely missing in these images. TOF guy, There would still be both a noise and resolution benefit. In a Bayer matrix camera, half of the green photons are lost relative to a B&W sensor with a green filter. For red and green channels, the loss is 75%. Similarly, half of the green resolution is lost and 3/4 of the red and blue resolutions are. A good Bayer processor can make up for some of the deficits, but not nearly all. TOF guy - technically speaking, ALL sensors are B&W sensors - the Bayer filter, or Fuji's new 'random' approach, merely place fixed colour filter arrays over photo-receptors (which are essentially 'colour' insensitive). 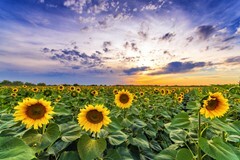 The concept of a Bayer/Fuji array is to ape the traditional on-lens filter function - to separate certain colour wavelengths. As 'Number 6' states, by removing these filters, we DO gain resolution and noise benefits - the sensor need only process a raw (note: raw not RAW) signal based only on strength/tonality of light source - not it's converted colour wavelength. A non-Bayer sensor IS the 'true' B&W sensor you seek. But, as stated, certain objects will often display similar luminance results ... simple answer (as with B&W film) is dig out your old filters to boost skies, foliage, surface water, contrasting objects, etc. Without them, B&W images are flat and one-dimensional - the lack of 'separation' you describe - regardless of the medium utilised in their capture. TOF guy, in my view starting with color is the wrong way to approach B&W. It's just handy since we have lots of cameras with color output. Try putting an intense red or orange filter on a true B&W camera and then replicate that effect with a typical bayer array camera. You won't be able to. And yes, this is the reason you try to twist around. People who love B&W photography are WAY ahead of your feeble methods of using the weak bayer array filters and instead use dedicated B&W filters to achieve vastly superior results. As photographers, we tend to have very strong views concerning the tools of our craft. But consider the following: in the music profession, you could buy a Yamaha digital piano for $2,000 that can stunningly recreate the sound of the most expensive grand piano -- and over 1000 additional instruments as well. It is a technological wonder in every sense of the word. On the other hand, a Steinway grand piano costs $100,000. It only plays a single sound (piano). The technology is basically unchanged from the way they were built 100 years ago. It is tempermental and unlike the Yamaha, must be meticulously tuned and maintained. Both have their place. The existence of one does not detract from the excellence of the other or the artists who choose either. Whether it's photography or other artistic fields, all of us have a wonderful array of personal creative choices in terms of how we practice our craft. That's a reality worth embracing and not attacking each other over. As much as I agree with your statement, that what we are all talking about are mearly tools, but "Both have their place" simply doesnt aply when it comes to digital vs analogue instruments. You will never, never go to a concert of chopin, beethoven,liszt or what ever composer and have the artist play a keyboard or digital piano. Not quite. It's like a $100,000 yamaha with ivory keys and thats hand built in germany that only plays one sound thats not truly available on the cheaper model. B&W digital without a color filter array or a optical low pass filter is not the same as desaturaing a color image from a traditional bayer sensor. Hence, a 'sound' that the cheaper model doesn't have but you can come close. You don't really create B&W images by simply desaturating, do you? I, for one, don't want my camera to decide how B&W "sees" color. With a RAW color image, I can put the zone system to work in post by mixing it down exactly the way I want it. A good deal of the zone system always happened in the darkroom anyway. I'm betting that I can match the tonality that this camera delivers, and yes I'm an old school B&W darkroom guy. Just yesterday I saw a friend's samples from an M9 and Noctilux. Simply stunning to see that degree of isolation and gorgeous bokeh in a shot taken meters away from the subject. To pair such a marvel with the purest of image sensors, stripped of AA filters and now even the bayer array seems like a project worth embarking on. Do I like the price? No, but as I see it, it could well lead to a Micro 4/3 (or other) equivalent. 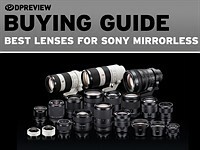 It's no secret that the small, finely crafted primes appearing for mirrorless cameras have Leica as their ultimate inspiration and I don't believe they have to reach that level of perfection to be relevant and, more to the point, offer a much more attractive option than either a compact or intimidatingly bulky DSLR. I have to say a big thank you to Leica for focusing on image perfection rather than the more common-place capture speed, as at the end lof the day it's the beautiful image that counts, not how you got it. A camera from the prestigious German brand Leica, 0 series (number 116), 1923, has just been sold at auction in Vienna, Austria, by 2.16 million euros. Is the most expensive ever, surpassing the previous record holders: another Leica, which had sold last year by 1.3 million euros. The buyer wished to remain anonymous. I doubt this will ever happen with a digital Leica. It will, trust me. Number of idiots with way more money then brains is steadily increasing every year. @ AnHund, you touch at the right point and that a lot of people can't realized. Its a digital piece, never will never be evaluated as if it were a mechanical camera. A digital piece that will be overcome in the short to medium term for about $8000. With all this, I do not need to put more value than it actually deserves, if makes more or less F/stops or takes photographs with smell or anything else is. If anyone want spend $8000 on Leica, buy a mechanical one. Why are Leica so expensive? Easy........economies of scale in manufacturing. Anyone who has had a business card printed knows this, ie, make/print 100 = cost per card expensive, make/print 100,000 = cost per card cheap. I bet Nikon/Canon make more profit per unit on their base models than Leica do on the M9.........in the words of a Russian meer cat speaking English (!?!)....simples! That's why Leica have and need to make additional niche products such as this one and the Hermes version to cover the development costs, ie, 90% of their content is based around the M9. Quality and supply and demand. They have the quality and they made a name for themselves. If people, and they are, willing to buy a Leica for $6000, then Leica can charge $6000 or even more. Where did you get that from? Leica is an independent co. Have you ever heard of 'out sourcing', ie, their compacts. In your scenario, you must think Nikon is owned by Sony (sensors) and Ford is owned by GKN (spark plugs)......which is frankly utter hogwash! Maloy, economy of scale comes from quantity produced, not from the size of the company doing the producing. There will never be much economy of scale on Leica products. The camera is interesting, but not $8,000 interesting. A pure B&W camera is competing against classic films that already have the classic film look, no PP requirred. I would get a modern medium format setup and a good scanner if I wanted to spend that kind of cash on B&W. It is clear from this comments thread that there is a tremendous amount of Leica envy. The real issue is not Leica's prices, but the lack of imagination on the part of Canon and Nikon. 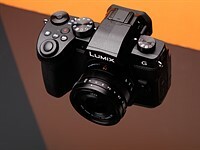 Though Fuji and Sony are stumbling a bit (where are the wides for the NEX system,) they, with Olympus, Panasonic and other brands are where the future of photography is. Leica is a tiny company compared to the others, and can afford to be imperious. In fact, I would guess Leica needs to be exclusive in order to survive, and we all want them to continue, right? of course we want them to continue. but not with this kind of camera. I don't believe the term "Leica envy" is correct. A better term may be "Leica frustration". Many of us would love to own an M body and a couple of those wonderful lenses produced by Leica. I've long been one who appreicates the Leica lenses. They are often truly amazing and I have always considered the glass, rather than the M bodies, to be the heart and soul of Leica. The frustration arises when something so desireable is simply so far out of reach of ones ability to own the thing we desire. I still believe Leica would be better served by producing something along the lines of a Digital CL as an entry level camera from Leica at half the price of the standard M body. The X1 and X2 do not meet what I would perceive as an entry level Leica.. nor do the rebadged Panasonics. With every new camera from Leica the price continues to spiral upward and often nothing new or better is offered and thus the frustration will continue.. It's not envy at all. It's just frustration. Why is Leica so desirable? OK, we know the answer. However, is Leica really the only company capable of designing awe inspiring lenses? No, but they may be the only company willing to make the effort. There's no doubt the Leica legend is part of the draw, but were another brand to equal Leica's quality, there might be less "frustration." The real issue is that while many think it would be really fun to shoot with a rangefinder camera, even if they could afford an M9 today, they find it hard to justify spending so much money on camera with 2007 tech in it just for the novelty of a rangefinder. The frustration is that Leica has become a designer brand. You are paying for the Leica mystique not for a superior product. Leica is pretty much the only one making a digital rangefinder So if you want one you have to get the Leica which means you have spend a lot of money for technology that is surpassed by much cheaper cameras. That is why people are frustrated. Personally I just can't support Leica when they sell a premium priced camera with cheesy cost cutting measures like a ridiculously low res LCD. A digital CL... yes of coure it would be great. This is what Epson tried with the RD-1. The issue is probably that the digital RF market is too small to be able to make mass production savings. Afaik, the M8, M9, Imacon/hasselblads. Mamiyas/Leaf etc. all use (expensive) xilinx technology because at such small production batches and frequent updates (how many years did they make the M8? ), they would never get their money back with the high initial investment of custom made circuitry as found on mainstream cameras. However the Minolta CLE experience showed it was possible to recycle some essential components (here the shutter and electronics) from a mass produced SLR into a good though cheap RF. My uninformed guess is that Nikon should be able to recycle most of a camera like the D800 (i.e. sensor and electronics) into a DRF - maybe a digital Nikon S, but it wouldn't be cheap either. More, RF technology needs absolute adjustments (unlike SLRs) which don't like cheap plastic lenses. 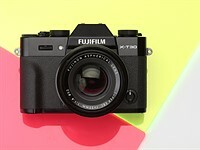 The Fuji X-Pro1 is to my view the closest to a "digital CL". With a RF in place of AF it would cost even more. @Josh152 This is the real point, and I agree 100%. This is not a metter of envy or frustration at all. Cameras are just a tool. It is my opinion, not be equal to so many others. Is that the Leica is simply an object of worship and nothing else. People do worship as a God, but how are cameras with ridiculously high prices for what they offer. Most interesting is, one thing that really is so unreasonable, are people find excuses for all Leica produces, but not precisely the Leica, other brands and of varied origins. This is also what makes the ridiculous behavior of masses and consumerism. I still can't justify buying this camera, for more laps that try to find an excuse.And if there is people who take special photographs for having a Leica only, are purely wrong.Leica had so much courage in putting this product order on the market, as has the courage to ask for $ 8000 for it, because there is brave to pay these daydreams of the brand, not because it is a camera that is worth what it costs, far from it.$ 8000 for a camera that only takes black and white photographs and digital, a technology that is growing year after year, and that at the moment is exceeded? The true "purist" of black and white buy film and real cameras, seriously, not these toys. Josh152, I am sorry to disagree with some of your points. 'the novelty of a rangefinder': no, the rangefinder is the oldest among the 3 major focusing systems (RF, reflex and AF). Leica is not a 'designer brand', they develop and produce the M9 themselves at home (in Solms). `'Technology surpassed by much cheaper cameras', depends. Indeed plastic/composite camera bodies are more advanced technology than magnesium. I agree the LCD is mean, but do you really use it apart from menus and (sometimes) histograms? 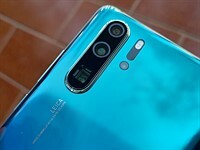 Are you sure a better LCD would be compatible (in terms of processing power) with the electronics inside, whose priority is to work out high quality images? The philosophy is quite different from a P&S or a mirrorless. The point is to choose the right tool for each particular user. There is more modern technology in a cheap CD player than in a costly Steinway grand piano. Some will choose the Steinway, most will make better music with the CD player. Garn! It's an April fools joke. Mis-timed. Gotta be. A lot is being made of the bayer demosaicing process being inherently damaging to absolute resolution. I wonder, can the raw image processors be set to not do any demosaic prior to desaturation in order to obtain B&W from a color imager? If so, would this not negate the resolution advantage of a monochrmomatic imager in terms of resolution? Of course, sensitivity to light will always be hindered by a bayer filter, so the monochrome imager will be at an advantage in terms of S:N. But strictly in terms of resolution, would a modified raw converter be enough to level the field? 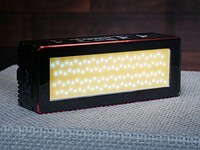 A color sensor derives its luminance from the green channel only, hence the resolution will be lower. Changing the RAW converter as you said will not increase the resolution unless all the pixels were used for luminance. Yes, with the Bayer filters, e.g. on the M9 there are 18 million official pixels, but only half of them (9 million) are green pixels, and red and blue pixels are 4.5 million each. Therefore all the rest has to be interpolated in order to fill in all the 18 million R,G and B values.There is a loss of sensitivity (close to a factor 2 or 3) due to the Bayer filters, and subsequent interpolation increases the noise level which is a second factor that limits sensitivity - there is always a trade-off between resolution and noise. The global result must be, if referring to a given SNR (or noise level), a sensitivity about 4 to 6 times higher with the monochrome sensor, and still much better detail rendition, than the colour version. As someone pointed out on this thread, the weak point is the photographer. Actually the M9M belongs more to the medium format family, and in spite of its compacity it should rather be compared with bigger (and more expensive) Alpas and Mamiyas. "a modified raw converter" is already built into the standard M9 and is triggered when you shoot B&W. Demosaicing is really necessary, otherwise any uniformly coloured object would look like a chessboard on the B&W picture, except neutral grey objects! Demosaicing means interpolation, more noise etc. (see my comment above). Personally I won't buy the M9M, for personal reasons (use, money etc.) but if my professional activity was needing high performance B&W imaging I would obviously rank it very high. Compared to the FF SLR competition, I think the performance of Leica optics made the M9 the best candidate on the market for a monochrome (and therefore real 19MP uninterpolated, equivalent to 38MP interpolated but with less noise) version. BTW, no Bayer means virtually no aliasing in spite of the lenses' high resolution! The poor man's antialiasing is bad lenses. I don't undestand the real spirit of many comments, most based on a rather "religious" consideration of the item: I am a Leica owner since 1956 but nevertheless I consider a camera (Leica or other) simply for the pictures produced. To be sincere, I find the sample images we can see here quite disappointing: no black, no white but a sad uniform and rather foggy gray. My advice would be to try examining images without considering the camera: do I like them or not? is this camera right for my purposes? can it help me to perform easier my job (if any)? Apart from these basic questions, all the rest is a simple question of "voluptas possidendi", for those that have no problem of budget. I agree. it's not because I dont respect others opinion regarding this camera. but more like some people are high in Leica weed. it is pathetic and sad. don't get me wrong, I like Leica. but the way I'm looking at it or where it is heading to, I'm not in complete denial that not much has been done with their cameras now compared what they accomplish when the got the M8 and M9. I'm willing to purchase their lenses or their previous cameras, but paying for this kind of camera, they must be out of their fuking minds to sell such crippled or downgraded product at such stupid price. if Leica thinks that they could get away with such practice due to their established name, they are mistaken. on the otherhand, there are still suckers out there that would buy this product. of course, they have their lenses to keep them afloat. I doubt this example pic can give any idea of the (good or bad) quality of M9M images: the enlargement is not sufficient to judge. Besides, I think Leica is completely right with the M9M, as they kept the development costs to a minimum (slight changes in the firmware, essentially a simplification, and have Truesense (?) make one batch of M9-type sensors without the bayer matrix. Low investment, production cost same as M9, this is a clever addition to the catalogue even if they don't sell a lot. And again, the loss of colour allows a impressive jump in other qualities. I doubt the sample images have not been post processed with an adjustment of the blacks or whites sliders to develop the kind of contrast that one expects in a fine photograph, but I believe the raws could probably be developed quite nicely. A rather foggy gray, it is Seatle after all. The per pixel sharpness of the 100% images is--to my eye--quite stuning. Corner to Corner. It looks like the lens is definitely delivering the goods. If I had money to burn, I would definitely think about getting this camera, except for one thing...it's a range finder. While I have never used a Lieca, I always have found SLR's to be a preferable photographic tool to any range finder that I have used. Of course to each his own. is there anything better Leica can do with their camera nowadays? Too much hate and envy here. If you don't like the cameras why do you feel the need to comment anyway? Just move on. When photographers love their Leica, so be it. They can spend their money for whatever they want and it's none of your business. This "rich guys and dentists" camera is completely ridicoulos and wrong. I know a few of them and they are penny-pinching. They buy a Coolpix at Amazon, cause it's way cheaper to buy from there. All Leica owners I know are photographers. They just love they way a Leica is to handle and most of them own much more expencive photogear than a Leica, like Phase Ones, Leafs, Hassy's etc. My D3X was 8000 bucks and my new D4 almost 6000, so what? It is paid after a few gigs. If I need something to do the job, I buy it and I don't care if people at DPreview or other places tell me it's too much money, old technology, no value, whatever. So I don't care what people say when I buy my Leica. It's my money. Period. So the only comments you think we should be allowed to make are overwhelmingly positive for all products? Why even allow comments or posts then? DPR could create an AI program to spew praise posts and comments for us. Even better, we could put one person in charge of things and that person could tell us the 'one true way' to think. for all you critics wondering why anyone would buy this sort of camera, have you ever used a Leica?? I agree Leica's are a bit overpriced, but they are great cameras to use! 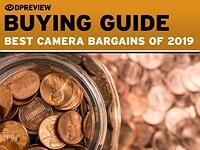 you might think that a camera with a million features and buttons gives you better value. A Leica is minimalist in design, but it works. There is wisdom in that good design does not age easily. Look at a Porsche 911, and see how subtly the design has changed over so many years. Look at a Japanese car over the same period and they are unrecognisable. So don't criticise something just because it's expensive, how about criticising all the countless cheap nasty cameras that have been made in the last 1o years that will never be remembered because they were awful to use and ugly in design! Too bad Canikon don't put this type sensor into a 5D or D800. It would be much less expensive and it wouldn't be a rangefinder. I want to stick with "Single-Lens Reflex" style cameras because that was what I was weaned on. Even so, this would be one sweet camera for those decisive moments. Think of images with a sensor of this quality made with Leica glass ( 35mm summicron/50 summilux!!). In that kind of a setup the weakest link would definitely be the photographer. Bokeh beautiful Black and white. mmm $10,000 for a one lens setup. To each his own. Stock D800 can produce same B&W image quality this Leica can, and you retain the possibility of tweaking the color to B&W translation in post. So just get a D800, if you happen to need color pictures also it can also shoot those. "Stock D800 can produce same B&W image quality this Leica can, and you retain the possibility of tweaking the color to B&W translation in post." Even D800 produces blurred images in comparison to the Leica. Viewed 1:1 I doubt there is a camera, except a Sigma, that can produce such sharp images. Back in the days of film (and I know it isn't dead yet) a camera company could charge a premium because the mechanical quality of the camera and lenses were top shelf; the film was just the film. But a digital camera is much more than a box to hold film. The sensor and all the related technology packed into the camera is what counts the most. Nikon, Canon and Pentax all have much better camera technology than Leica (which still makes great lenses but not for the price they charge!). I'm surprised that people are still sold on Leica being superior when it is clear they can't match the technological chops of even Pentax. Sadly Leica trade on their name - with buyers still thinking that there is something unique inside a digital Leica. While I have to agree on the rebadged Panasonics (although one should also note the price includes Photoshop Elements, and a 2 year vs. 90 day warranty), I think it's not a fair assessment to say that they trade solely on the merits of their name; and that the internal components are second rate to the rest of the market leaders. 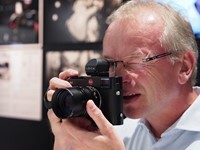 Have you actually held or used a true Leica (M9, S2, R8/9+DMR)? If so, I'd venture to say that you would indeed find something special in both the build quality, and the images they produce. I still find a certain quality in the images from my 10mp DMR back that I cannot replicate with "modern" SLRs; as well as image sharpness matched only by medium format cameras. As far as manufacturing is concerned, I have been to the factory in Solms multiple times, all of the lenses are ground and manufactured there- the lower end binoculars, accessories, and body sub-assemblies (maybe some lens tubes?) are made in Portugal and are assembled and calibrated in Germany. jkr1185 - I think you emphasise my point re. trading on tradition. The M series reminds me of Porsche 911 ... continually reinventing the exact same machine simply to milk customers who want an 'icon'. The engineering genius of both the original 911 and film M earned them deserved reputations ... but both their modern iterations are now behind most mainstream tech, kept buoyant only by special editions & collector specials. Both once oozed quality and mechanical perfection - both are now soundly beaten by mainstream CAD/CAM designs. At their heart, they are no longer 'special'. The S2 and R/DMR are/were first class performers respectively - sadly, in the case of the R series a dead end - but Leica seem unwilling to kill off it's old rangefinder dog, limping along on a bankrupt sensor. Leica have already become mere component assemblers - not innovators - where is the lead in technology they once held? Rich guys and some wanted to be one of them have allways in mind the need to different, apart from the rest "common people". Brands knows this, and they offer exclusive products not to do the job right, so to be recognized from the others. Good for them. This camera's images is like a Porsche 911 doing 0-60mph in 11.49 seconds. This camera's 230,000 dot LCD screen is like a BMW 7 series with wind up windows. Ansell Adams used large format cameras despite their size, weight, setup time and film cost because of the high resolution and sharpness he was able to gain from his images. Hence if he was alive today I'm pretty sure he'd be using the latest and best photographic tool money can buy. This camera is certainly not one of them. I don't think that Ansell Adams would care about if his camera had a 230,000 dot LCD, or for that matter if it even had one at all (oh wait, view cameras don't have high pixel LCD screens???). I also don't think he would make an analysis and judgement on what a camera certainly is or isn't based on sample images on DP review, taken with a camera with a firmware version 0.012. Though I don't like this type of camera unless less than $500, the sample images are pixel sharp that no other type of camera can match even those of Sigma's Foveon cameras even if I really like them. With output images like that, I pretty sure serious BW photogs would consider this for its lightweight and small package and I know there are more expensive monochrome cams out there. I'd say your car analogy is a bit off - this feels more like someone stripping down the BMW completely to reduce the weight and let it go a little faster, at the expense of all the mod cons, the upholstering on the seat, the air con, etc etc. And while there's never going to be a vast market for that, I think it's nice that cameras like this are being made. Might not fit my tastes or yours, but someone somewhere will think this is the best thing since sliced bread. On the contrary, view cameras have huge viewing screens - they're just not LCD. And of course he wouldn't care about this camera - he'd look for a D800E if he even considered a 35mm size, but would probably go for a much larger - and most likely custom created - sensor. He would also be enthralled with Lightroom and Photoshop, as he went to great length to make his custom enlarger(s) which allowed finer grained control of light across his image. IIRC, he even used internegative techniques to create what we consider HDR today. 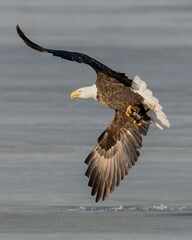 AA was no photographic luddite, and he certainly wouldn't have settled for anything less than near perfection in his capture equipment. This camera would not impress him. Or maybe for passionate photographers who want to control the process of photography? You can "control the process of photography" just as much with any other camera that has a full manual mode and a manual focus mode. Heck in the case of this Leica you actually get less control of what the final image will look like than you do if you convert a color image to black and white using LR or PS. I love how meaningless catchphrases are constantly used to try to justify Leica's over priced, under featured cameras. Don't get me wrong if you simply like the experience of shooting with a rangefinder type focus than fine. Just don't act like it makes you some kind of special, better photographer because you do or like it is some how inherently better than using a camera with contemporary focusing. "Control the process of photography" is the sort of guff that our old resident Leica user used to come out with. He wasn't a bright man. Josh152 good luck trying to find a camera that produces images as sharp as the Leica. First I said nothing about sharpness and it has nothing to do with "controlling the process of photography." Second the difference in sharpness between this camera and say a DSLR and a high end prime is not going be very much. 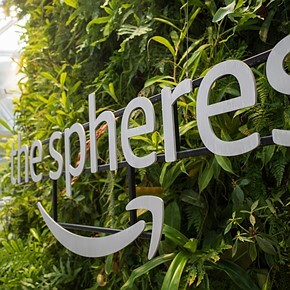 It will be there but only slightly noticeable and certainly not worth the extreme price or having to live with a noisy, Low dynamic range sensor and a absurdly low res LCD. Why would Leica feel the need to offer Silver Effects 2 with this new camera? Is like saying if you don't like the results straight-out-of-camera you can fix them with software?!? From a camera specifically designed to produce outstanding quality B&W shots? 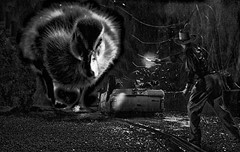 Silverfx gives you the ability to process your images in styles based on various b+w films, for instance. Have you ever used it?? The main feature, color filter effects, can not be applied to the B&W image Leica Monochrom produces, but there are other tweaks like toning, vigneting etc also. They must have felt they have give buyers the same package they give with other models, for added value (?). Give someone a freebie.... They still complain! To get it together with LR is a sweet deal considering the M Monos pricetag. I will get one from Leica for testing and let you guys know what I think about the stuff that comes straight out of the camera. I expected them to offer colorizing software instead. I await the day when Leica goes further back into time and make an orthochromatic B&W digital camera. Then we can get pin sharp photos without the need to focus and everyone will look like they have a permanent suntan unless they apply blue makeup. To me this is just another variation of their novelty cameras like their Titanium, Gold, lizard skin etc, limited editions. This one just a little different so not to be too repetitious. Except the sensor output is different. But other than that, yeah, exact same thing as coating in lizard skin. I bet they sell at least six. Owners of Leica M cameras that suffer from peeling CCDs will be able to claim a free repair in the future so long as the camera was purchased within five years of the fault becoming apparent, the company has announced. Photokina 2012 is proving a busy show for Leica, with two new M models, the 'M', which succeeds the M9, and offers live view and movie mode, among other refinements, and the ME - a cut-down model, which offers the same functionality as the M9 at a more affordable price. Barnaby Britton caught up with M product manager Jesko von Oeynhausen at the Leica stand. Leica announced quite a few cameras at this Photokina, but it's the M that's getting all the attention. Leica has announced the M-Monochrom, a black-and-white version of its M9 full-frame rangefinder. In most other respects, the M-Monochrom shares its hardware with the M9. It can add three toning colors to its monchrome output or its uncompressed DNG files can be edited using the included copy of Photoshop Lightroom. A full version of the mono processing software Silver Efex 2 is also included. It will cost around $7,950.00.